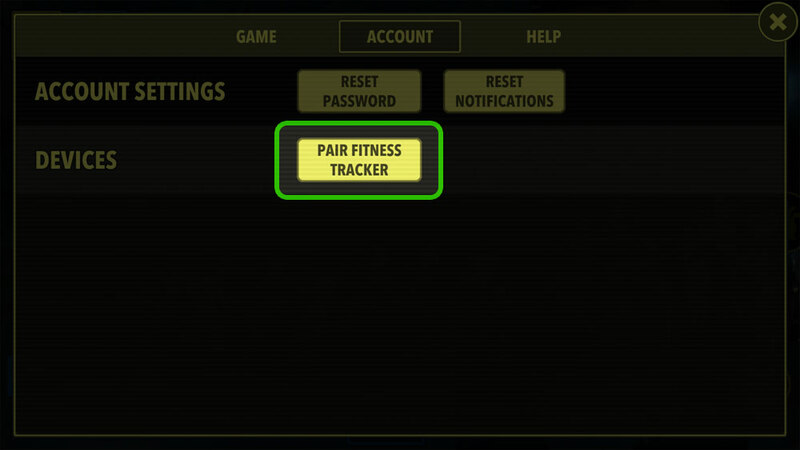 1) In THE OUTBREAK iOS app, navigate to SETTINGS > ACCOUNT, and tap PAIR FITNESS TRACKER. 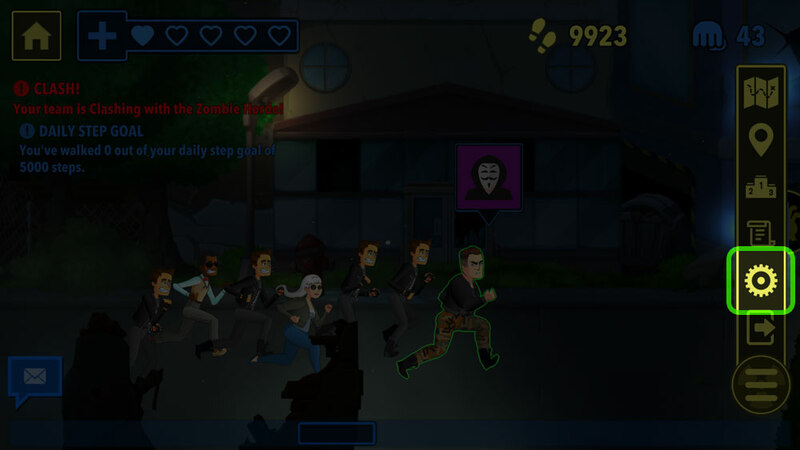 2) Toggle the “Healthkit/Apple Watch” switch to ON. 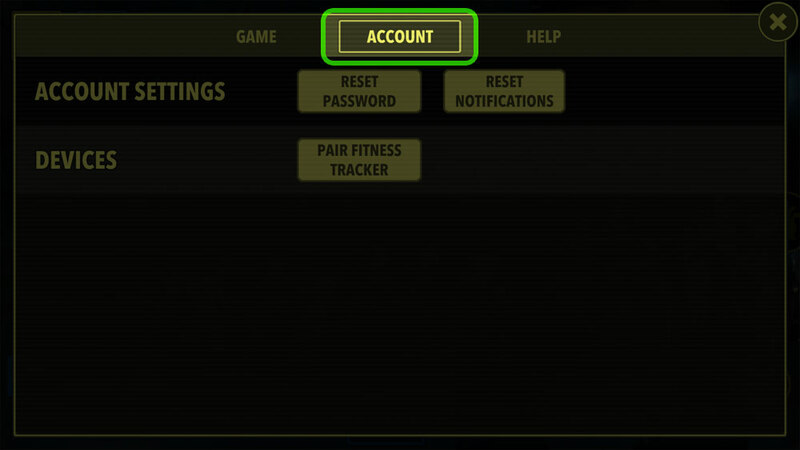 3) Grant the requested permissions for STEPS, WORKOUTS and EXERCISE MINUTES. 1) Your steps/exercise tracking app(s) must have permission to write STEPS and WORKOUTS to Apple HealthKit. 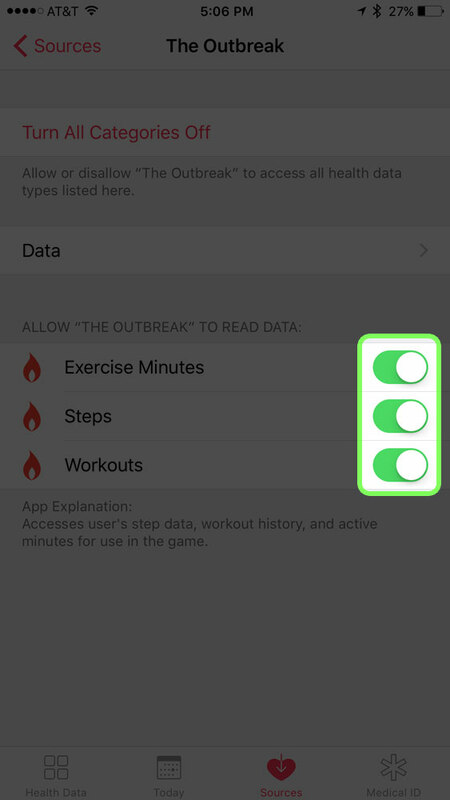 2) THE OUTBREAK must have permission to read STEPS and WORKOUTS from Apple HealthKit. Note for Apple Watch users: there is an EXERCISE MINUTES stat in HealthKit that is specific to the Apple Watch. 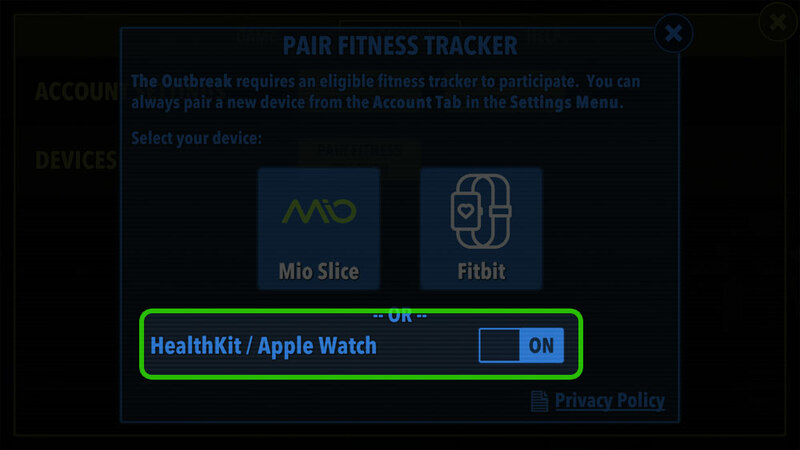 If you use an Apple Watch, THE OUTBREAK must be granted read permission for Exercise Minutes. 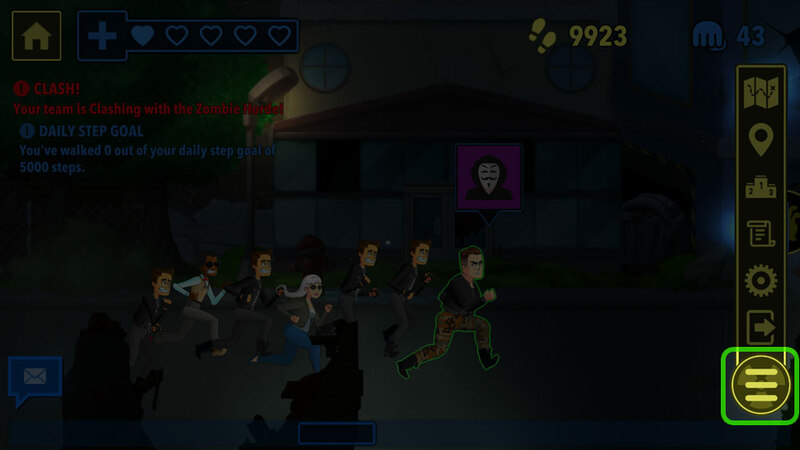 Once enabled in THE OUTBREAK app and permissions granted in the Apple Health app, remember: steps help your team move, and exercise generates Power, which is used for combat, obstacles, healing etc.